Irina was without a doubt one of the best guides we have ever encountered. Tours by locals is fortunate to have her as one of their guides. Irina is a real pro. Her knowledge and organizational skills was outstanding. We would recommend her to anyone whose wants to tour St Petersburg. Her knack to get us to the front of the line at busy sites was skilfully done. This was our 2nd visit to St Petersburg. Others in our group it was their first. Irina was able to keep our interest through out. TOUR GUIDE RESPONSE: Dear Ross - Thank you for your nice words! I had a great time with you and will keep warm memories of the days we spent together in St. Petersburg! You are always welcome back!! Irina was a very knowledgeable & overall perfect tour guide. Our small group was able to do a quick walking tour of the main area of St. Petersburg, and then a tour of the Hermitage. She was extremely knowledgeable of all the art the Hermitage has to offer, and was able to meet our limited req. of seeing 'the best the Hermitage has to offer in just 2 hours'. I won't do another museum tour without a guide like this. Very conversational w/ perfect English - overall one of the best tours I've done from here. TOUR GUIDE RESPONSE: Thank you, Elliott! Yes, it was a great day! I appreciate your sense of humour and attention! We had fun and I hope to meet you all in the future! Warm regards! Irina is so good! She managed our group of 10 so well as each had a different agenda. She was able to show us everything we discussed in the time frame that we gave her. Very knowledgable and interesting regarding history of the country and buildings. Highly recommend Irina S as a guide in St. Petersberg. She also navigated crowds well. What a great 2 day tour of St Petersburg. Everything we expected. Irina was an excellent guide and her knowledge of the city is amazing. So much to see in such a short time - Irina is definitely the person to see it with. Had issues with immigration at the port - took nearly 2 hours to get through - Irina made sure that our itinerary didn't change too much and still managed to fit it all in. Would highly recommend this tour! A good tour well presented and highly enjoyable. Irina spoke excellent English and was an excellent guide. She was informative and flexible. She tried very hard to please. She made extraordinary effort to allow us viewing of the impressionists in the Hermitage which was greatly appreciated by our group of 10. Our only problem was that she was 15 minutes late on our 2nd day of touring which gave us some anxiety as we were the only ones left. Her paperwork to get us through passport control was all in order. Her restaurant choices were excellent. This tour was perfect! I saw exactly everything that I had wanted. The guide was excellent and had extensive knowledge of everything. To be able to get a locals view of all of the sites and to be able to get her views on her own history was a treat. I would rate her as the top guide of my entire trip! Another excellent half-day tour arranged by Irina. We took a short visit to Peter and Paul Fortress and spent the rest of time in the Hermitage. Irina tailored the visit to our needs in viewing the palace and the painting collections. Under her leadership, we were able to maximize our time there. Her professionalism and control of time were outstanding. Thank you so much, Irina. Irina is so professional and knowledgeable. May 9 was Victory Day. We were able to watch and experience of the celebration because of Irina. The most impressive were the fireworks at Peterhof Gardens and the parade of citizens. When we returned to St. Petersburg in the afternoon, all main roads were closed. Irina led us to visit St. Issac's Cathedral, Church of Our Saviour on Spilled Blood, and the Faberge Museum by walking. We couldn't have made it without Irina's great time control and efficiency. A very comprehensive tour. 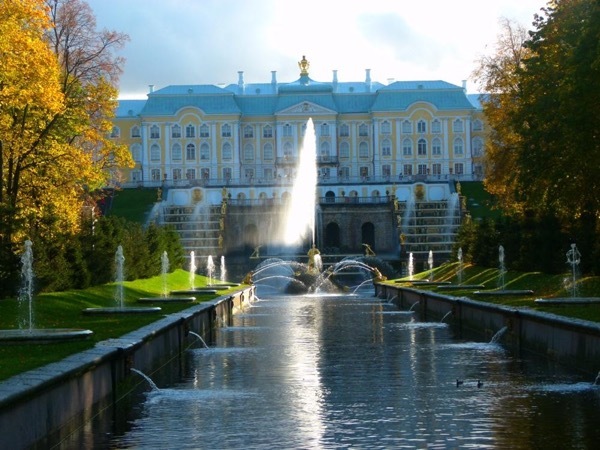 Irena has excellent knowledge of the history and artworks ofthe Winter Palace, Hermitage Museum and General Staff Building. Highly recommended. Irina was outstanding. We had discussed our personal preferences in advance and she helped us put together a very full 5 days. She was very well informed and a fund of information on everything we saw and a wide range of other subjects. She was excellent company, practical in her management of the days, flexible if we wanted to vary detail and full of sensible advice. Her historical and art knowledge is impressive. She made our holiday and I could not recommend her more strongly. A very enjoyable 2 days with Irena. Very knowledgeable and very good comminicator. A very full itinerary which was well managed by Irena. We learned a lot from Irena in a short time and thoroughly enjoyed our Russian pies! Good fun. You will not be disappointed.! Irina and driver denis were great. We had confirmed with one Irina and ended up with another. The one we ended up with was excellent, and many thanks to Irina # 1 who took it one herself to make certain we were well taken care of my a friend and fellow guide, who is Irina # 2. Irina # 2, was excellent, always on time, and she was able to answer all of our questions and point our many of the highlights of St. Petersburg. The transportation, handled by Irina #1, was excellent, very spacious and comfortable. TOUR GUIDE RESPONSE: It is true that I had to leave St. Petersburg urgently and that my very good friend and a brilliant TBL guide Irina P. susbstituted me. She asked me to transfer her warmest greetings to you and Andrea and to thank you for the great time you had together and for the gifts! From my side I would also want to thank you once again for your understanding, your sincere support and care! I wish I had a chance to meet you and I wish you more incredible journeys. You are always welcome back to Russia! Irina was superb. Both knowledgeable and actively interested in our experience and understanding, she quickly became a welcome and indispensable member of our small group. We had a two day tour with Irina. Everything was perfect. She was extremely kind, knowledgeable, intelligent and pleasant. The tour fulfil our expectations. We traveled with our four year old girl, and she was extremely charming with her. A driver took us around the city and he was also very kind and effective. Our experience was really positive and it make us love this great city. Our tour with Irina was like sitting in on an art history and a Russian history course given by the best professor at the best university. We couldn't believe our good fortune. She is enthusiastic, communicates well, has an impressive depth of knowledge of art and Russian history, is easy to understand, was sensitive to the needs and interests of the three of us. She is the top of the top. She will set the bar for all future guides we have. This was a 4 star tour in my opinion. Irene was knowledgeable and organized showing us as much as possible in the time allotment. She was quite good and I would certainly recommend Tours by Locals to friends. Irina is an outstanding guide - excellent communication, vast knowledge about her city and its treasures, sensitive to all members of the group(young and old) and efficient(she kept the tour moving so that we saw everything and met the necessary time schedule). Irina is also a really NICE person and interesting to be with. It was fun and stimulating. Thank you , Irina. We are extremely satisfied with Irina's services! She's very nice, knowledgeable, punctual. Everything was organized well and very personable, catered to every member of our small group. Irina was ill, but had Alexandra substitute for her. We had a great two days and saw most of what we wanted to see. The ship being late made it not possible to see the treasure room. Irina was so smart and knowlegdeable about St. Petersburg. She is a student of art history and architecture and this showed in her commentary. She knew a lot and offered much more about life in this city and Pederhof. She was flexible and had all our admissions, tours and food stops reserved in advance so no time was wasted. Great guide, very fluent in English and extremely knowledgeable in Russian history. I had her take me through the history of czars and emperors and she told many fun stories about the families and foibles. The only reason for 4 instead of 5 stars is she got us back late on the first day and we had to rush in order to get to the ballet. We made it so the rating should be 4.5 stars. Irina's English was excellent and she was helpful, friendly and very generous with her time. Her background in art and architecture was quite evident. She explained things that even our relatively knowledgeable group of 7 did not know and could answer questions about objects in the Hermitage that she clearly had not planned to talk about. Her descriptions included the historical and cultural contexts for each artist or period of art. Irina was wonderful, so knowledgeable about all things Russian. She is a true professional. I would definitely recommend her to my friends. We all came away with a real fondness for St. Petersburg and much better informed. Thank you very much, Irina. I would have given 5 stars but for the fact that upon arrival at our hotel and logging on there was an email from Irina advising that she could not do the tour. However, she advised that she had arranged for her friend Anna to take her place. While my wife and I approached the first day with some apprehension given that she did not appear to be registered with Tours by Locals, that soon evaporated. Anna was very personable and certainly " knew her stuff". TOURSBYLOCALS RESPONSE: We apologize for the last minute change of plans. Issues can happen at anytime and we are quite glad that Irina was still able to contact you. We are also glad to hear that your tour with Anna was a positive experience. In the unusual case where a guide can't personally deliver a tour, the traveler is notified in advance and given the opportunity to cancel or accept the substitute. Irina is an excellent communicator as well as being very personable, charming and professional. Using email we were easily able to arrange meeting her on site. Irina's was the second tour we had of the Hermitage and her superior depth of knowledge about art and the Hermitage became readily apparent. While in St.Petersburg we had 5 guided tours in total and Irina really stood out as the best. I can only reiterate what others have said about Irina. Our party of 4 found her to be very professional, well-organized, prompt, patient, flexible and extremely knowledgeable. We needed an Art Historian Guide and Irina fitted the role perfectly. We would not hesitate to recommend Irina to anyone. Irina was a great tour guide and her English was excellent. She knew her history and provided us with wonderful insights into St. Petersburg and its history. Our only suggestion would be for future tours that she show her guests a map of St. Petersburg and where all the sights are for a good orientation. We would highly recommend her to anyone for a tour. She gets an A+ in our books. Our tour was given by Irina P., due to the illness of Irina S. Irina S. let us know about the change and did a wonderful job 'introducing' us to our new 'Irina'. We feel extremely fortunate to have had this guide! Her depth of knowledge from the historical perspective of St. Petersburg, as well as her love of the city, constantly engaged us. She is knowledgeable, personable, and is a strong asset to your company. She left us wanting to return and experience more of her city! The previous reviews pretty much say it all about Irina, who guided us for five days. But for our party of five, this was especially important: Irina got us into each of the popular and crowded attractions with amazing speed, somehow bypassing almost all of the long queues outside each. As a result, we spent much more time sightseeing and far less time in line than many other groups. I do not know exactly know she works this, but I can tell you she gets it done. An amazing guide in every respect. Irina was an amazing guide!! In two days we were able to see many of the main points of interest and get a very good sense of the history of St. Petersburg. Irina was very helpful before the trip helping us to organize what we wanted to do and answering our questions. During the time we were with her she was very professional. extremely knowledgeable, very personable and kind and very well organized. Her English is excellent and she went out of her way to make our tour a memorable experience. Irina is a great it person!! !We enjoyed her company and knowledge every single day. We booked A two day tour with Irina and it has been the best experience with a tour guide in our lives!!! If you planing to visit St Petersburg trust me she is the tour guide you want to have. Thank you for everything Irina, Hopefully we will see you again!!!!!! Irina and our driver Sergei were right on time each day, picking us up and dropping us back. Irina kept in touch with me from booking to the date of the trip which was appreciated. The size of our group at 8 was perfect. We blew by the bus loads of other tourists. The lunch spots were thoughtfully chosen and great spots. All in all well worth the money and time. I highly recommend working with Irina to maximize your St. Petersburg experience. Her masters level education in art, architecture and Russian history allows her to give you the history of everything you see. The story behind the sights brings them to life. Although she is a tiny woman her personality is not. She is cheerful and chatty and will take the time to answer your questions and give you advice on where and how to go for time on your own. We spent 4 days touring with Irina - it was great! We could not wish for a better guide to show us St Petersburg. Irina's vast knowledge of history and passion for art combined with very professional and friendly approach made our visit to St Petersburg very special. We felt like our old friend showing us the best of her beloved city...She went out of her way to help us with advice and bookings whenever we ask for anything. Thanks to Irina we had one of the most memorable experiences in St Petersburg. Excellent English, Nice sense of humor. Only complaint is Yousov ticket price went up 700 RU each and we ended up executing the cash transaction on the street corner after we left the museum. Irina told us before we went in and when I asked if we owed that, she apparently did not understand me. As we fumbled for our wallets, I pointed out to her that in the future she had to make sure not to leave such transactions to street corners. TOUR GUIDE RESPONSE: I brought my apologies for the inconvenience I caused to Constance and Leslie by settling the money issue in the street. It was some confusion about tickets cost that brought us to this last minute financial transaction, but we settled it out later and came to agreement that no raise of the ticket cost happened. I will make sure it will not happen again in the future. We spent great time together and I am impressed by the knoweledge and passion for art of my guests! Only good feelings are left between us! TOURSBYLOCALS RESPONSE: We've suggested that Irene do money transactions in a more private location. Lovely young woman, excellent English and thorough knowledge of St Petersburg architecture. We also had an excellent driver on snowy streets. TOUR GUIDE RESPONSE: Dear Constance and Leslie - thank you for nice words. It was my pleasure to spend these days with you, I am impressed by your knowledge of history and arts and appreciate your passion for Russian culture and Hermitage!)) Thank you for sharing these tours with me, it was a precious experience for me! Irina was very helpful in making our St Petersburg tour arrangements. Her knowledge of art and history made our visit a very meaningfull and pleasant one. We enjoyed every momemnt of her guidance. Thank you Irina for making our trip a wonderful one. While all your guides were very professional and knowledgable, your real 5+ star person was Irina (with driver Andre) in St Petersburg. I don't know if you have met Irina but she is very petite, pretty, and a dynamo at getting through the massive crowds and dealing with the officials. Three people joined us for that tour and we all agreed that we would have been totally lost without her. Irina is a very special person and real asset to your organization. Andre is a great driver! This was an add on of people to our original tour. We had a party of 13 and we all thought Irina was one of the best tour guide we have ever been with, she was a wealth of information on a city with long historical past. We saw everything we had talked about and more. I would highly recommend her to anyone. Thank you very much Irina for a wonderful two days tour of St. Petersburg. Irina is extremely energetic and knowledgeable about the history, arts and architecures of the city. Her English is impeccable. In addition she is flexible and always willing to accomodate our needs. She was able to help us navigate / avoid the long lines at the popular museum doors (minimum wait time). We would gladly have her as our tour guide again and we highly recommend her service to anyone. We spent three wonderful days experiencing St Petersburg with Irina. She is extremely knowledgeable and a delight to be with. She skillfully tailored our itinerary to accommodate our requests and then let us set our own pace; we never felt rushed. She knows when to visit the important sites and how to avoid the crowds. We would highly recommend her services. David Brown, Toronto Canada. Irina is amazing. she's like a walking encyclopedia. Just ask her anything at all. anything. she will talk and talk and talk. simply amazing. I will recommend her to anyone who wants to take a quality tour in st petersburg. definitely worth it. Irina gave us a full 5 hour tour and even made an unscheduled stop. Very smart and was enthusiastic about her job. Irina was articulate, punctual, interesting, knowledgeable and adapted our tour as we wanted. She was also fun and we felt more like friends rather then clients. We were with Irina for 4 days and she arranged and rearranged our tour to suit our interests mixed with her suggestions. Several days before our tour I broke my leg but decided to go anyway. Irina pushed my wheelchair while my husband took pictures. She turned a minus into a plus. Irina and her driver were outstanding. TOUR GUIDE RESPONSE: Dear Rosemarie! Thank you for the nice words! It was my big pleasure to guide you in St. Petersburg, and I was very pleased with you interest in Russian History, Art and everyday life. But what amazed me the most is your courage - we went through all the museums on a wheelchair (hope you will never need another one! ), you made all the steps up and down with your leg broken never asking for a break or even to slow down! I had a great time too thanks to you and Paul being so fun! I learnt a lot from you too! Irina was the best private guide we have ever found. Her depth of knowledge of the city coupled with a serious scholarly understanding of art history made our day with her go much too quickly. Thanks Irina. TOUR GUIDE RESPONSE: Thank you very much! I enjoyed your company, and that day was easy and fun for me too! Hope, you enjoyed your last day in the city! Irina was fantastic! We met her outside the Hermitage. She had pre-purchased our tickets, and took us to the head of the queue. This allowed us to avoid standing in line for an hour or so, and by itself was worth the price. Her tour of the Hermitage was incredible. She is extremely knowledgeable in art history, and is entirely fluent in English, including idioms, etc. We saw and learned more in 3 hours than we could have in 8 hours on our own. I highly recommend her to anyone!! TOUR GUIDE RESPONSE: Dear Peter! Thank you very much for your comment, and I hope you enjoyed the rest of your your time in St. Petersburg! Irina was an excellent guide who made a 9 hour tour very organized so that we never felt rushed or tired. Her knowledge of art history made the Hermitage part of the tour especially enthralling - her special Hermitage tours must be amazing! She was also very informative about Peterhof. There Is no way we could have seen or learned half as much on our own. Highly recommended! TOUR GUIDE RESPONSE: Dear William - thank you very much for your feedback. I am always pleased to see people so interested in the history of my city and arts. I am sure that you had spent wonderful time in St. Petersburg and managed to see a lot in those days you had left after my tour. Thank you again, and regards to my future PhD colleague ))! Irina's tour of The Hermitage was perfect. She moved at a quick pace and did a great job of highlighting some of the top pieces in the museum. It was obvious that she had tremendous knowledge about art and history. She was enthusiastic about her subject and very engaging. A great tour!!! TOUR GUIDE RESPONSE: Thank you Neil! It was my pleasure to be your guide, and I am amazed by the Steffi's knowledge of Russian history! In just one day we managed to see what people usually get on their three days itinerary :)) and all that is thanks to your enthusiastic and positive attitude! Irina is very knowledgeable and passionate about the city and its history. With Irina you get more than just a sightseeing tour, you get a fascinating journey into Russian history. She can go into any depth on any topic well beyond of what is written in tourists guides - thanks to her her master's degree in Russian history. She also has an upbeat personality, which makes the whole experience a great pleasure. Thank you very much, Irina! I'd give Irina an excellent rating for timeliness, knowledge of the city and history, and great communication skills. Because she has lived in the U.S., her American English was perfect. She was very well organized. TOUR GUIDE RESPONSE: Thank you, Nancy! You've managed to see a lot in St. Petersburg, and I am glad I contributed to your stay in my city!